I typed the above search phrase into Google and didn't come up with much. I did this for two reasons: our house has a couple of replacement windows, and a house down the block just had a window replaced. That doesn't seem too odd on the surface, but stucco problems are below the surface. They're also, when you find them, probably beyond the time frame for litigation. So do homes in Kernan Forest / Jacksonville have problems that are the result of shoddy construction back in 2003-2005 (and before), or is this all just normal wear and tear? And if there are problems, should previous owners and inspectors be expected to know? The expansion joints on the stucco wall on the rear of the home have cracking. I recommend caulking to prevent water intrusion. [...] The stucco on the front columns is missing at corners. [...] There is minor cracking on the right side of the home underneath the window and at the expansion joint. I recommend caulking to prevent water intrusion. I would have to ask my new neighbors who had the major window repair down the block if their inspector found a lot more than my inspector. In that repair, the window was replaced and stucco was pulled off to reveal several feet of rotten wood framing below the window. That image scared me a bit, forcing me to check my own walls again, as well as wonder what's underneath those walls. 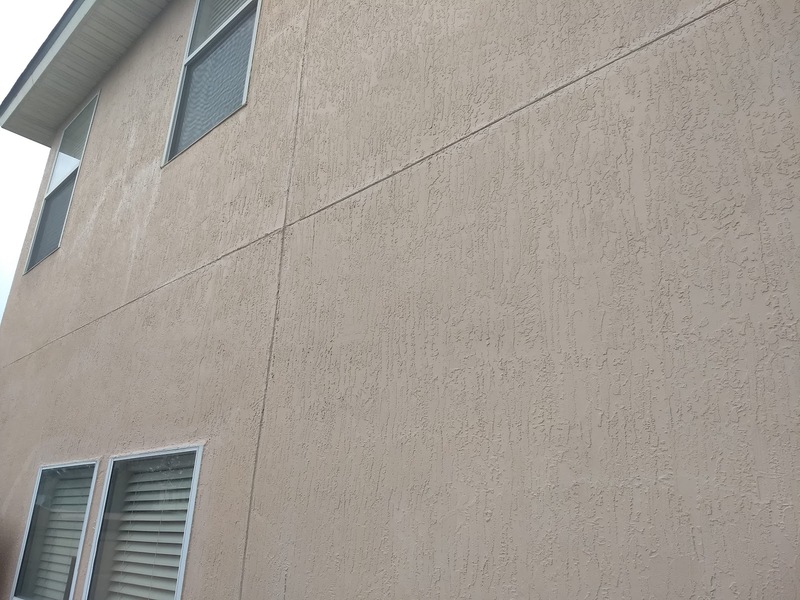 I know all about the stucco problem in Florida for homes built after 2006. My house is not supposed to be part of this problem. I'm wondering if that's true. Those homes have cracks all over and documentation that a single layer of stucco was used rather than the three mandated. In my mind, stucco siding is supposed to last until after all of Jacksonville is under water from rising sea levels. 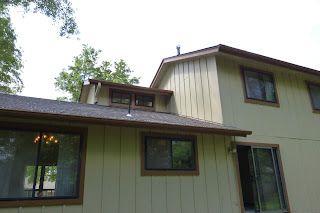 I have cedar wood siding on my Milwaukee house that has done fine since 1980. My 1978 house in Kansas had hardboard (pressboard) siding that had a few rotten areas that I caulked and painted, but nothing else, and that stuff's made from "wood fibers, flakes or chips that are held together by glues and resins." I have a siding in Florida that's made from cement, for heaven's sake! It's impervious to everything except poor craftsmanship, so I'm just wondering if there are a lot of Jacksonville area homes built before the acknowledged stucco problems that are just waiting to be exposed. I'd love to hear from anyone with a house built from 2005 back to the 90s who is having problems with stucco. If you've repainted and caulked every few years, you're supposed to get 50 to 60 years out of the siding. Somehow, I don't think that's true even of the older stucco in Florida.